“Live Music Night” at Sisserou’s Restaurant Featuring Branjae and Scott McQuade! December 13th, 2018! Each 2nd Thursday of the month Sisserou’s Restaurant offers some of the best live entertainment Tulsa has to offer, the month of December features the exciting return performance of Branjae and Scott McQuade! Each 2nd Thursday of the month Sisserou’s Restaurant offers some of the best live entertainment Tulsa has to offer, the month of November features the exciting return performance of Branjae and Scott McQuade! Join Mike Cameron, Jeremy Thomas and an all-star line up Wednesday night at MixCo! 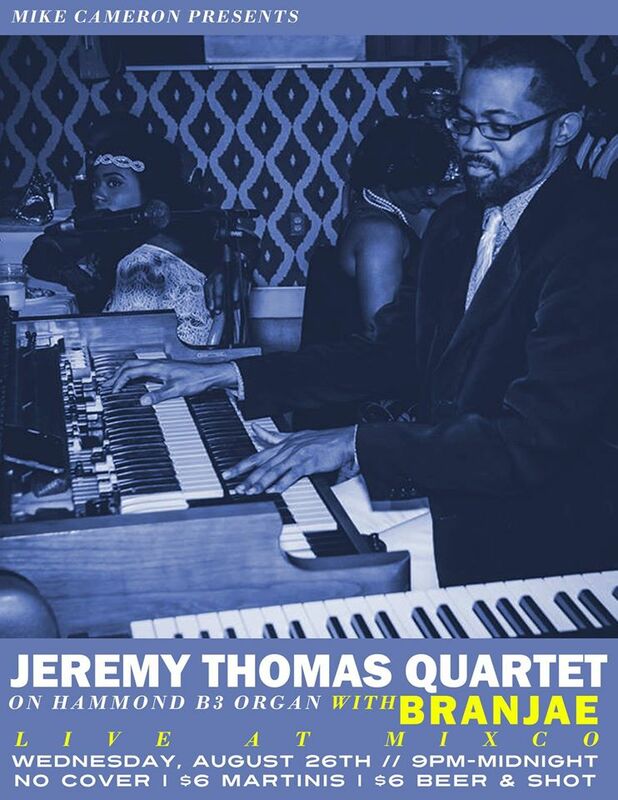 Back for their second full band, plus Hammond B3 organ show, is the Jeremy Thomas Quartet with Branjae on vocals… Admission is free!!! If you missed their show last month we would love to see you this Wednesday night. This show will feature original music by Jeremy and many musical surprises throughout the night. A big “thank you” to MixCo ( Mixed Company) for hosting this special event.